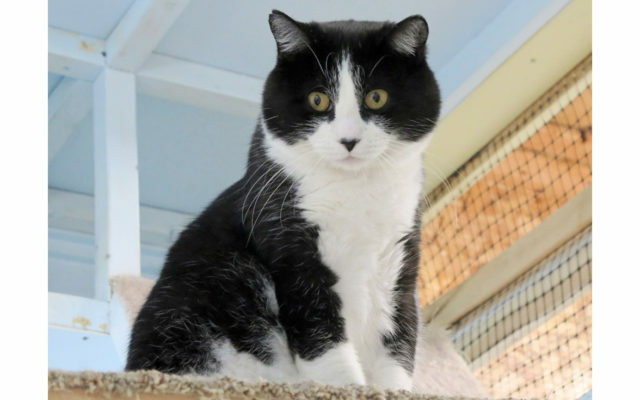 Donnie is a 3- to 4-year-old neutered short-hair tuxedo male cat who is living at the Halfway Home Pet Rescue Adoption Center waiting for his forever home. Donnie is a 3- to 4-year-old neutered short-hair tuxedo male cat who is living at the Halfway Home Pet Rescue Adoption Center waiting for his forever home. Donnie is very clean and loving, and has all his medical complete. He would be a good companion for any size quiet family. When volunteers give him attention he is all purrs. HHPR wants Donnie to show off for a new family, and are offering a one-time special adoption fee of $30. Go online to fill out an adoption application and specify Donnie. Call 999-1075 for more information.